As 2015 comes to an end, I thought I would take a few moments to highlight some of my recent holiday projects. Usually I celebrate Christmas with a classic Chinese take-out dinner, but this year I was lucky enough to be invited to a traditional Italian feast. It was amazing — there must have been 12 courses, each better than the next. In addition to the fish courses, there was an assortment of meats, pasta, and veggies. Italian sautéed broccoli rabe with garlic and lemon, how can that be bad? In terms of house decorations, I limit that to our front door. Each year I make a wreath. I try to use recycled junk I find around the house. In previous years, I have used brass nails, police caution tape, and stainless steel scrub pads. Last year I collected (with the help of my commuting friends) over 100 used Metro cards which made quite a festive display. 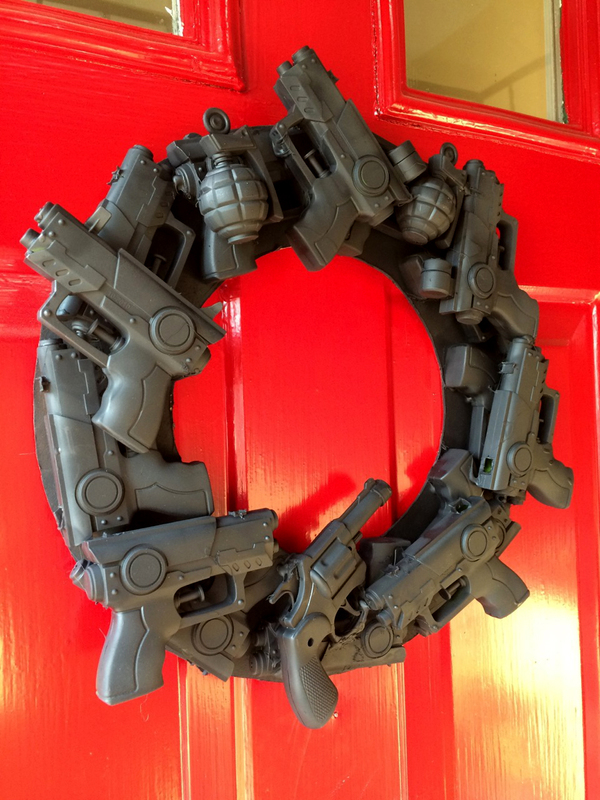 This year, my decorating took a slightly more political turn as I felt the need to express my horror over the abundance of guns in American culture. I thought it would be so easy to buy plastic guns. But ironically, it would have been easier for me to purchase real guns than kid’s toys (which seem to be heavily regulated in wealthy white neighborhoods). Fortunately a co-worker who lives in Bed-Stuy Brooklyn had no trouble getting the guns. 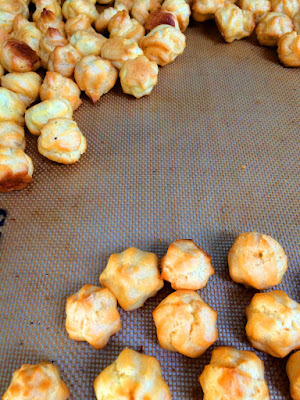 This is a great recipe because it’s done in an electric mixer. If rolling the dough freaks you out, you can simply push it into the bottom and sides of a tart pan with your hands. This recipe makes enough for 2 tart crusts and you can keep the extra dough in the refrigerator for a week, or you can freeze it. Cream the butter, sugar, and extract until light and fluffy in the bowl of your electric mixer. Slowly add the flour until the dough holds together. Turn out on floured board and give a few turns. Refrigerate for 1 hour before using. This dough can either be rolled out or pushed into a tart pan with a removable bottom. Bake fully in a 350 oven for 15-20 minutes until golden brown. I line the shell with plastic wrap and then use pie weights to make sure the crust bakes flat. Let cool before filling. Whip up everything till smooth. If you want to get creative, you can add a bit of booze (Cassis, Rum, Brandy, Triple Sec) or you can experiment with different extracts. You can also fold some melted chocolate into the cream cheese. If using apples and pears, I like to slice thinly and gently sauté in a little butter and brown sugar. If using berries, all you have to do pop them in place. 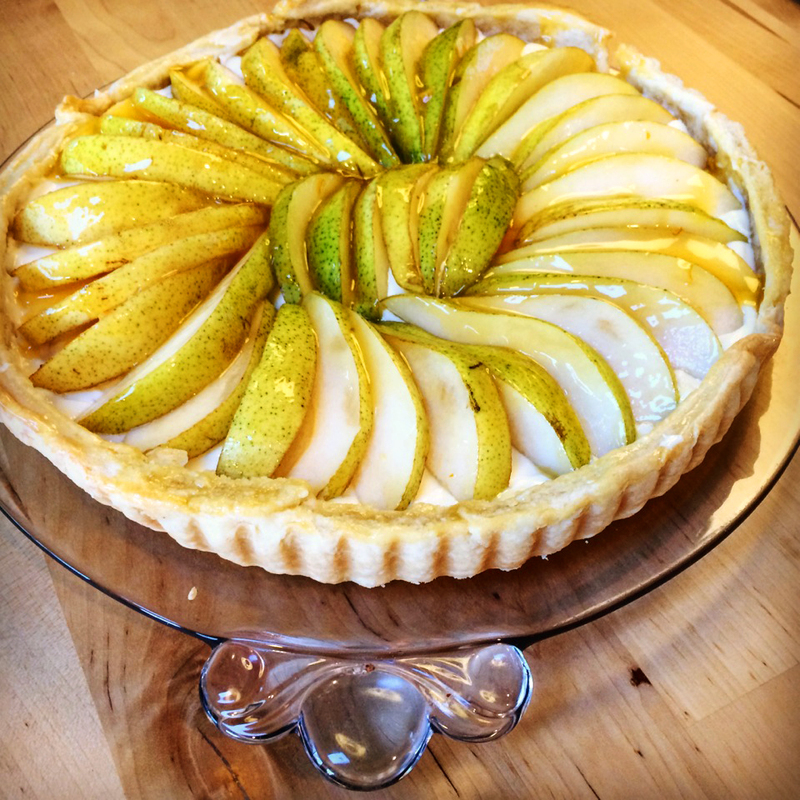 I usually brush the inside of the baked tart shell with white chocolate to keep it from getting soggy. Then the evenly spread the cream filling, and carefully lay out the fruit slices in a fan pattern. If you like a shiny finish, melt some jelly with a little water and brush it on the fruit. I like to use apricot glaze but any kind works. 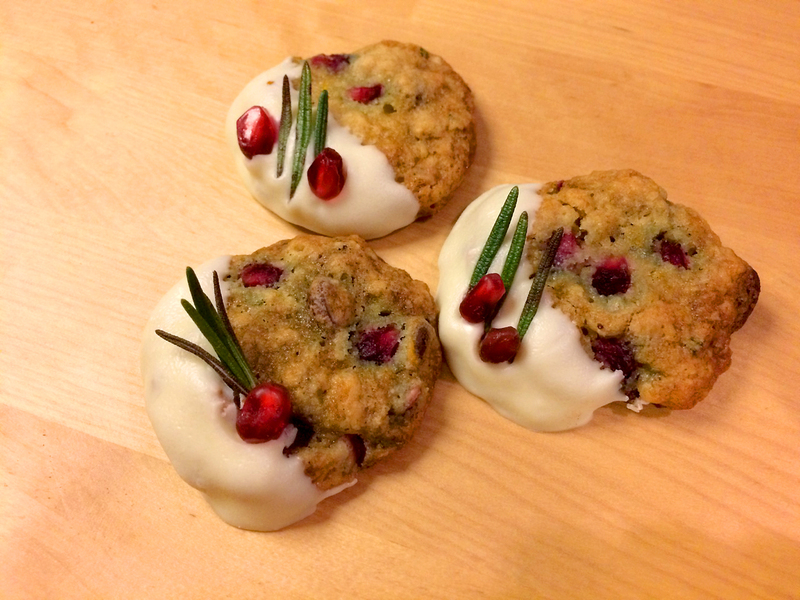 These cookiee were a simple variation on a chocolate chip cookie, with the addition of fresh pomegranate seeds, orange zest, and rosemary. Another easy, festive addition to the holiday is a seasonal beverage. Now that fresh berries are available year round, I see no reason not to serve this yummy drink. 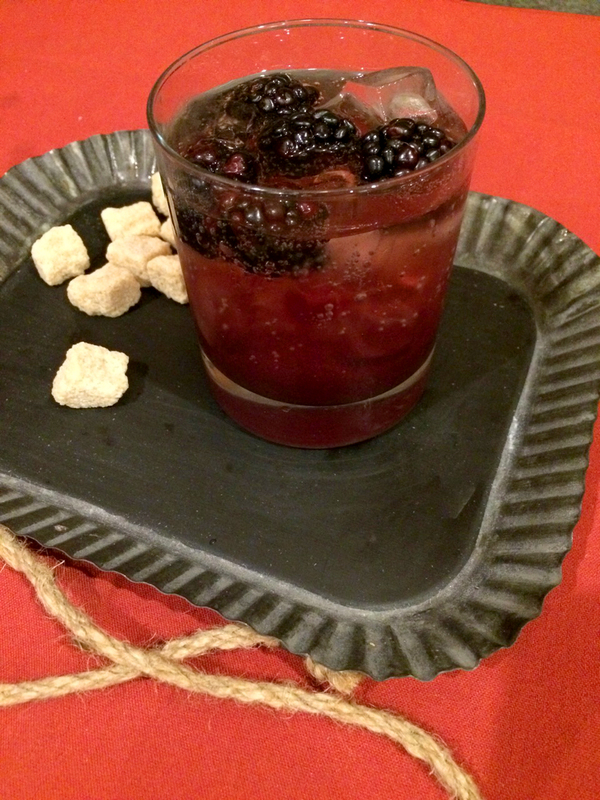 Combine the lemon juice and blackberries in a rocks glass and muddle until the berries are broken up. Fill the glass with ice. Combine Crème de Cassis, simple syrup, and gin in a cocktail shaker and stir to combine. Add to the berry/lemon mixture, stir and garnish with additional blackberries. 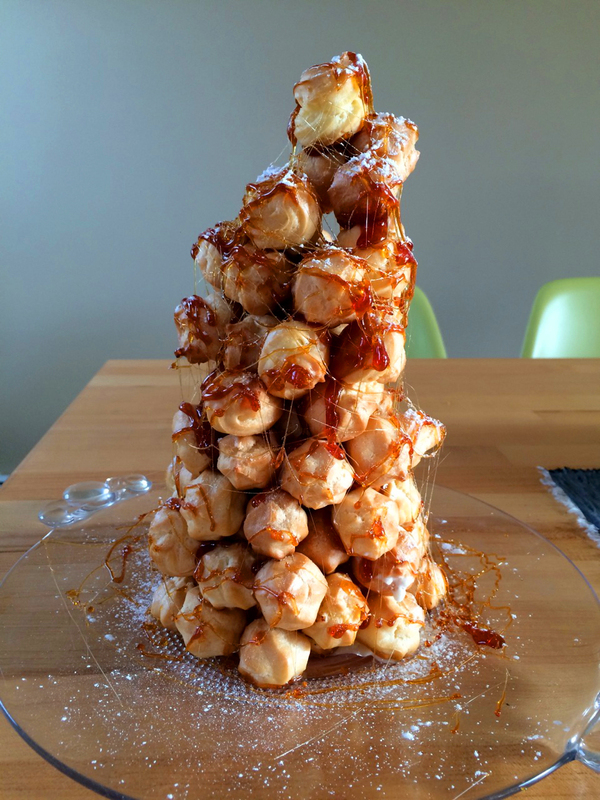 And finally, I made a small croquembouche. Not my best effort, but in my defense I did not have the right pastry bag or tips (much of my kitchen is packed in anticipation of our next move). It tasted good but looked a bit wonky. That's all till New Year's Eve, when I am planning to make and document a great meal! Pace yourself till then.